We use all sorts of words. One word in particular has many connotations. That word is “dinosaur”. 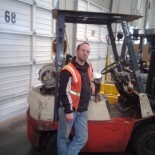 At work, we might call an older forklift, particularly a large one, a dinosaur. However, is really a dinosaur? Depends upon what you think constitutes a dinosaur. Recently I was asked if I believe in dinosaurs. Oddly, it was while a couple of us were discussing sasquatch. Yes, I happen to believe in sasquatch, though the evidence of such creature is sparse at best. However, and more to the point, yes, I do believe in dinosaurs. In fact, dinosaurs are nothing special, especially from a creationist mindset. Huh? What? Dinosaurs are nothing special? Yep. There is a direct reference to them in the Bible. Wait! What? I’ve never seen that in my Bible. Actually, you have, you just didn’t notice it. In Job 40, starting at verse 15 we read “Behold, Behemoth, which I made as I made you”. The description of this creature is clearly similar to that of a brachiosaur. Likewise, in Job 41, starting with the first verse we read “Can you draw out Leviathan with a fishhook or press down his tongue with a cord?”. This creature has a description that sounds like something you’d hear from somebody claiming to have seen the Loch Ness monster. Alright, yes, there is a description, but where is the word “dinosaur”? Simply put, its not there. The King James Bible, which is one of the most popular English Bibles, was published in 1611. The term “dinosaur” was coined in 1842. Older Bibles also tend to render the term as “Behemoth”. Simply put, this was the biggest creature God created, yet God also made it that man had dominion over it. Evolution has many problems, which most evolutionists are not necessarily willing to discuss. Dinosaurs are actually one of those problems. People once scoffed at the idea of enormous creatures, such as alluded to the book of Job, as having existed. It seemed not to matter that as early as the 3rd century there were reports of finding “dragon bones” in China. It would be nearly a millenia before scholars would recognize and seriously consider these creatures that we now call dinosaurs. Another problem for evolution is that of the inconsistency of radiometric dating. Problems here range from unknown initial parent element to existing daughter element ratios, to the effect of solar flares on radiometric decay rates. Another issue is that different radiometric test methods tend yield different results for the same sample. This lends itself to the situation in which some scientists will reject an obtained age range if it is not consistent with the age range that they had expected, thus they have already presumed how old the sample is and are attempting to force the results in favor of their bias. Interestingly, a recent discovery has become a sore spot for evolution when it comes to dinosaurs. 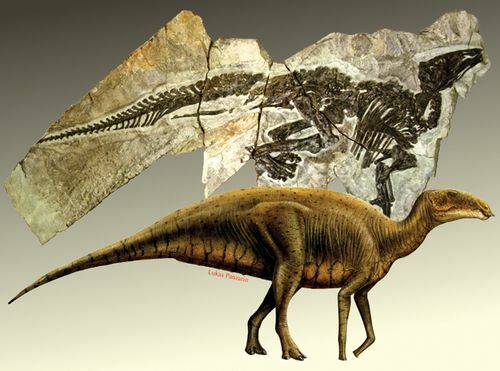 Most people blindly presume, and believe, that dinosaurs lived millions of years ago. Problem, soft tissue is not supposedly capable of surviving over such a span of time. At best soft tissue can only survive a few thousand years. However, it has now been discovered that some fossilized dinosaur bones still contain trace amounts of soft tissues. This is inconsistent with the evolutionary world view of dinosaurs having lived millions of years ago. However, it is completely consistent with the creationist worldview of such creatures having been created on the sixth day of creation, as record in the Bible. Oddly, I suspect that if a living dinosaur, possibly a brachiosaur, were ever found in some remote part of the world, most people would have a hard time believing it. Especially those who attest to evolution, as it would force them to change and redefine their worldview to accept that such creatures still exist, such as was the case with the ceolacanth. For the creationist, no change of worldview would be necessary. However, it has been said that for the believer, no evidence is necessary. Yet, for the unbeliever, no amount of evidence will ever suffice. Interesting, as the person who discovered the soft tissue in the a fossilized dinosaur bone (a T-rex, incidentally) is an avowed atheist. Equally interesting is that her publisher rejects her finds, claiming no amount of evidence will convince him of such a discovery. Simple truth, to accept such a discovery would be tantamount to saying that maybe evolution is a lie. Do I believe dinosaurs existed? Yes. I also believe it possible that they still do exist. However, I don’t think it very interesting. There is something more important to consider. Do you believe that Christ Jesus lived, walked this Earth, was crucified, died for your sins, was buried, and rose from the grave on the third day? No? Why not? We have more evidence for that than we do for many other things we accept. Even the Roman historian, Tacitus, an avowed enemy of the Christian church, accepted that Jesus has lived and was crucified. He even accepted that it had been reported that Christ had risen from the grave. Yes, even Tacitus believed that much. He didn’t believe the resurrection was true, but he knew well the issue. It is one thing to believe something based upon what we can see. It is another to believe something based upon what we can not see. Atheists believe there is no God because we can’t see him. Christians believe that there is a God and he walked among us as Christ Jesus. We have records to prove that Jesus lived and walked with us. Atheists have nothing. This entry was posted on 04/11/2014 by Christopher Rose in Uncategorized and tagged Creation, dinosaur, Evolution, God, Job, radiometric dating, sasquatch.